Today’s case study is one in a series of papers prepared by Kevin Smith Transportation Group. This weekly series will focus on real-world issues our clients bring to us, how our Project Teams work with those same clients to understand their opportunities and how together we develop and implement a transportation solution. A Montgomery County Funeral Home approached us with a very common solution. Their existing vehicles were aging and they weren’t sure it made sense to invest in purchasing new vehicles. They wanted to see if they could partner with a single transportation company that could provide the vehicles they needed but could also deliver a more “luxurious” service than an average transportation company. Our suggestion was twofold. First, identify a sub-set of the high-end vehicles in the fleet for their use and second, dedicate a handful of Chauffeurs that would work exclusively with them, building a strong cohesion with both of our teams. Their key issue was their aging fleet and some recent negative feedback from clients. They didn’t want to have this issue continue but didn’t necessarily want to spend the capital on new vehicles. They also were concerned that if they partnered with an outside company, would the level of service be what it needed to be. They had a prior bad experience with a different company so it was important if they engaged with somebody new that it was the right company. The only alternative would be to replace their aging fleet with newer vehicles. However, besides purchasing new sedans and SUV’s, it still wouldn’t address the requests they get for larger shuttles and mini buses. This strategy, then, wouldn’t address the larger opportunity that existed as their clients look to them for additional services. Once they realized this wasn’t a complete resolution, they realized they were back at their original thesis of partnering with a luxury transportation company. They approached us looking for options. We proposed specialized training for our Chauffeurs so we could ensure our team met their standards. We flagged specific vehicles within the fleet that would be prioritized for their work. We conducted site walks of their facility to ensure we had a good understanding of the traffic flow and we hold quarterly meetings to review client feedback. Opening dialogue throughout the relationship would provide the best chance for success. One of the biggest takeaways from this engagement was seeing how a client has to juggle service and cost. Ultimately, an outside partnership with our company was able to deliver both. 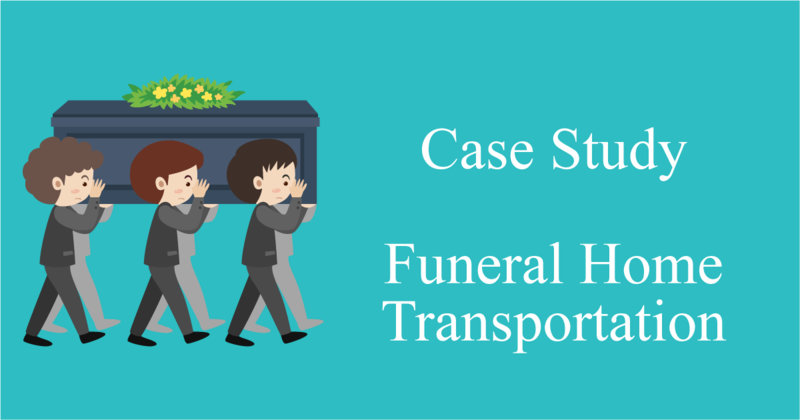 Since this program rolled out, we have onboarded 4 additional Funeral Homes and as we continue to learn more about this industry’s needs, we see real opportunity in improving how they look at their transportation. Funeral Homes do an amazing job of helping people through the worst of times. At Kevin Smith Transportation Group, we offer many of our partners additional resources like airport transportation for out of town family or friends or larger shuttles when their own fleet isn’t large enough. Call Kevin Smith Transportation Group today at 610-222-6225 and find out how we can help.